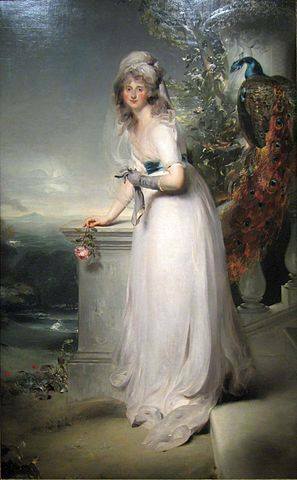 It's a pleasure to welcome LL Diamond, author of Particular Intentions, for a glimpse into the world of Sir Thomas Lawrence, one of my absolute favourites! Since publishing Particular Attachments, I’ve received a lot of compliments on the cover, so I thought it would be fun to “expose” my cover so to speak. I only use a part of the painting by Sir Thomas Lawrence, but my Georgiana Darcy in the story has dark brown hair and blue eyes—vastly different than the subject’s. . . well, grey hair. I love the filmy detailing on her white gown and contrasting blue waist, grey gloves, and pink rose. The detailed fleshiness of her hand that is holding the rose is what initially caught my eye in this lovely portrait. If I am careful and very methodical I can draw hands (when I have time to practice), but they are very difficult. You never think of hands as tricking the eye, but the eye doesn’t always interpret the angles correctly when an artist tries to draw them. Checking each and every angle is a necessity if I want it to look as it should, so I find a well-drawn or well-painted hand will draw my attention, as it did on the cover for The Earl’s Conquest as well. I did hope to use more of the background of the painting, but it didn’t look quite right when cropped—particularly with the unusual colouring of the peacock’s tail. Now that the entire painting is exposed. Who painted it? And who is the lady depicted? Let’s start with the artist. Born in Bristol, Thomas Lawrence showed his talent at an early age, drawing pastel likenesses for fashionable people in his father’s tavern for a guinea or a guinea and a half a piece and eventually, supporting his family with his earnings by the age of ten. At the age of 18, Lawrence travelled to London and became a student of the Royal Academy. He began to exhibit his work soon after and word of his talent spread so rapidly that he was made an associate of the Royal Academy in 1791. 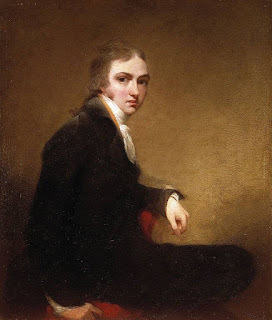 Upon the death of Sir Joshua Reynolds, Lawrence became the Painter-in-Ordinary to George III. While the previous generation was more restrained and smooth, Lawrence used thickly applied paint on clothing, boldly contrasted colours, and highlights that almost shimmer from the canvas. These qualities marvelled the fashionable set and earned him the commissions of many of society. He was knighted in 1815 and became president of the Royal Academy in 1820, holding that office until his death in 1830. Lawrence was never married, though he was linked romantically with the Duchess of Devonshire, Sarah Siddons and both of her daughters, Caroline of Brunswick, and may have kept Isabella Wolff as his mistress. As an artist, Lawrence was highly successful, however, his spending habits kept him in debt, though no one particularly knew what he spent his money on since it was said he didn’t bet on cards or horses, and never became intoxicated with his friends. He claimed to enjoy reading Jane Austen (I like him all the more for it!). Despite his lack of vices, it was estimated by his bankers that he owed twenty thousand pounds in 1807. He did have an impressive collection of artwork that was sold upon his death. Now, who is the lady in the painting? Her name is Catharine Grey. Catharine Rebecca Grey was born and raised in Ireland and later became the wife of Tory politician William Manners, who became a Baronet and later Lord Huntingtower. She wrote and published two books of poetry: Poems by Lady Manners (1793) and Review of Poetry: Ancient and Modern, A Poem by Lady M**** (1799). In the painting, Lady Manners is depicted as the goddess Juno, which is symbolised by the peacock behind her; however, Lady Manners didn’t actually like the painting at all and it is claimed she “rejected” the work. Lawrence hoped to sell the portrait in 1794 at the Royal Academy, but no one purchased it and it remained in his possession until after his death. 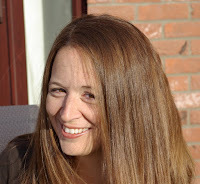 Paula R. Backscheider. Eighteenth-Century Women Poets and Their Poetry: Inventing Agency, Inventing Genre. 28 Nov 2005. JHU Press. Pg. 407. She swore would never marry! Georgiana Darcy is a lady with a secret! The last thing she wants is to return to London, but what else can she do when her brother and his wife make plans to spend the Christmas season in town. When Lizzy’s youngest sister, Lydia, joins them, Georgiana gains a confidante, but will Lydia’s outgoing nature cause problems when Lord Sele, son of a family friend reappears in Georgiana’s life? As an insufferable boy, Lord Sele vowed he would marry Georgiana, but was his return from Ireland a coincidence or was his sole purpose to pursue her? He admits to desiring friendship, but Lydia is determined his desire is Georgiana and she will stop at nothing to see her best friend happily settled. What is Georgiana to do when faced with the society she has managed to avoid for her entire adult life as well as the one man determined to change her mind about marriage? Will she be able to overcome her fears despite the spectre from the past that seems to be haunting her? Will she be forced to tell her secret and choose happiness or will someone from her past ruin everything? L.L. Diamond is more commonly known as Leslie to her friends and Mom to her three kids. A native of Louisiana, she has spent the majority of her life living within an hour of New Orleans until she vowed to follow her husband to the ends of the earth as a military wife. Louisiana, Mississippi, California, Texas, New Mexico, Nebraska, and now England have all been called home along the way. After watching Sense and Sensibility with her mother, Leslie became a fan of Jane Austen, reading her collected works over the next few years. Pride and Prejudice stood out as a favorite and has dominated her writing since finding Jane Austen Fan Fiction. Aside from mother and writer, Leslie considers herself a perpetual student. She has degrees in biology and studio art, but will devour any subject of interest simply for the knowledge. As an artist, her concentration is in graphic design, but watercolor is her medium of choice with one of her watercolors featured on the cover of her second book, A Matter of Chance. She is a member of the Jane Austen Society of North America. Leslie also plays flute and piano, but much like Elizabeth Bennet, she is always in need of practice! Leslie’s books include Rain and Retribution, A Matter of Chance, An Unwavering Trust, The Earl’s Conquest, Particular Intentions and Particular Attachments. Absolutely love Lawrence! He has so many paintings that I love. His military portraits, especially Wellesley, are gorgeous! The portraits of women are so exquisite. I can't say enough about them! 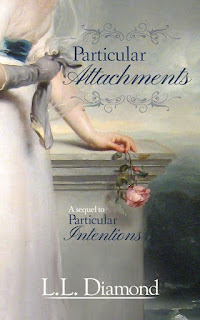 I do love the cover of 'Particular Attachments' as well as 'Particular Intentions'. Oh to own one of these! Still can't seem to post on your website and I don't know what I am doing wrong! I'm so glad Catherine put your comment up! Thanks so much, Carole! 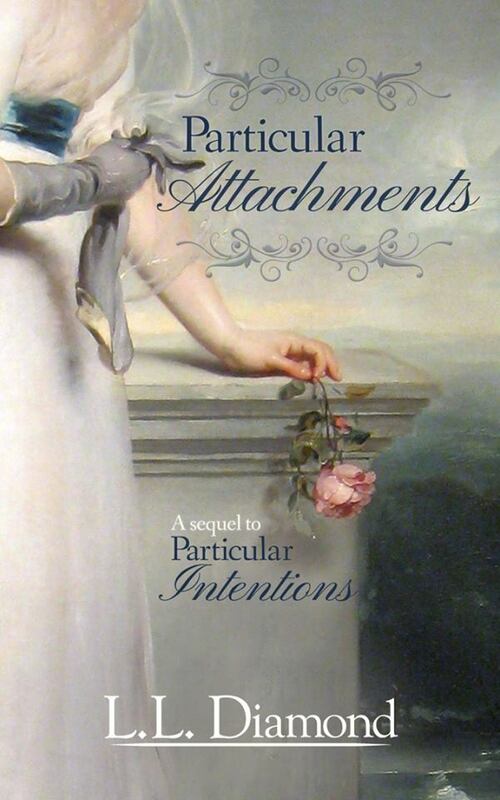 I so enjoyed reading about the paintings used for the covers of Particular Intentions and Particular Attachments. I loved both books so much. This article got me lost down a Thomas Lawrence rabbit hole, but I didn't mind being lost there. I don't always look up the artist of a painting I admire, and was amazed at how many I recognized. Your covers were new to me, wonderful. Exquisite taste, Leslie. I'm so glad!! Lawrence is definitely one of the more popular portraitists of the age. I think it's easy to have seen one of his works before, but just not realised it was him (if that makes sense) :) Thanks, Michelle!